Lincolnshire Weddings | Lincolnshire’s Wedding Directory and home to the Lincolnshire Wedding Fair. 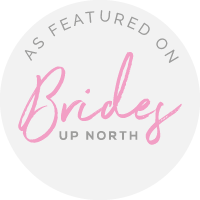 Explore the website for a comprehensive list of local Wedding Suppliers. Your next Lincolnshire Wedding Event fix is here! Get inspiration for your big day by exploring these beautiful venues and meeting an array of talented suppliers. The Elm Tree Wedding Open Weekend. The Elm Tree, 90 Main Road, Hundleby, Spilsby, PE23 5LZ. Telephone 01790 753534 Email enquiries@elmtree.co.uk. Opening times are between 11am-4pm. Free Entry. Ferry Road, Fiskerton, Lincoln, Lincolnshire, LN3 4HU. Telephone 07852 255638 Email info@ferryfarmtipis.co.uk. Opening times are between 11am-3pm. Free Entry. Ayscoughfee Hall, Spalding, Lincolnshire, PE11 2RA. Opening times are between 11am-3pm. £4 on the day or Pre-register for free entry. Scrivelsby Walled Garden Open Day. Scrivelsby Estate, Scrivelsby Grange, Lincolnshire, LN9 6JL. Tel 0333 577 4662. Email info@scrivelsbywalledgarden.co.uk. Opening times are between 11pm-4pm. Free Entry. Mori Lee Designer Weekend AW19 Exclusive Preview. Proposals Bridal Room, 2 Abbey Walk, Grimsby, DN31 1JY. Telephone 01472 346644. Opening times are between 9am-3pm. Free Entry. Grimsby Auditorium, Cromwell Road, Grimsby, North East Lincolnshire. Opening times are between 10:30am-3:30pm. Free Entry. Belton Woods Hotel, Belton, Grantham, NG32 2LN. Opening times are between 11am-3pm. £4 on the day or Pre-register for £2.75. Home Lincoln, 4 Park Street, Lincoln, Lincolnshire, LN1 1UF. Email lincsweddings@gmail.com. Opening times are between 11am-4pm. Free Entry. Stoke Rochford Hall Wedding Show. Stoke Rochford Hall, Grantham, Lincolnshire, NG33 5EJ. Telephone 01476 530337. Email enquiries@stokerochfordhall.co.uk. Opening times are between 11am-3pm. Free Entry. Phew! Now all that’s left to do is scurry to your diaries and save the dates. Register your Wedding Event below for FREE. Little Break Thank you so much for all your support and encouragement whilst organising my first Fair. I'm going to enjoy a little radio silence with my family over Easter. Hope you all have an amazing time eating all those chocolates. Lincolnshire’s Wedding Directory and home to the Lincolnshire Wedding Fair. 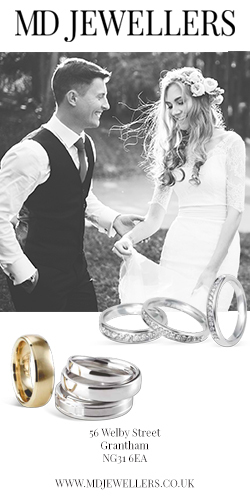 Explore the website for a comprehensive list of local Wedding Suppliers. Copyright © 2014-2019 Lincolnshire Weddings lincsweddings.com all rights reserved.